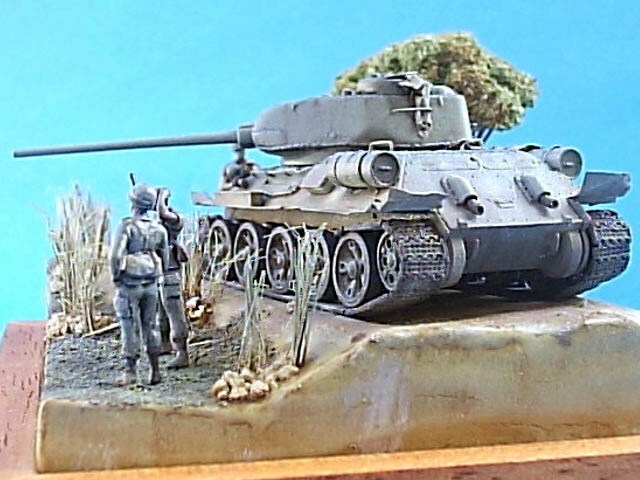 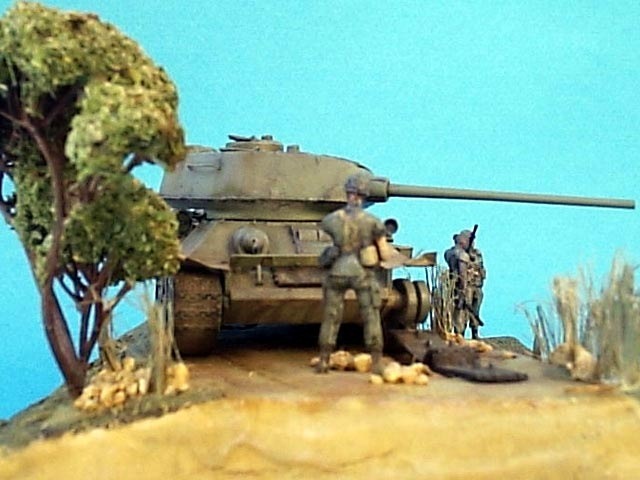 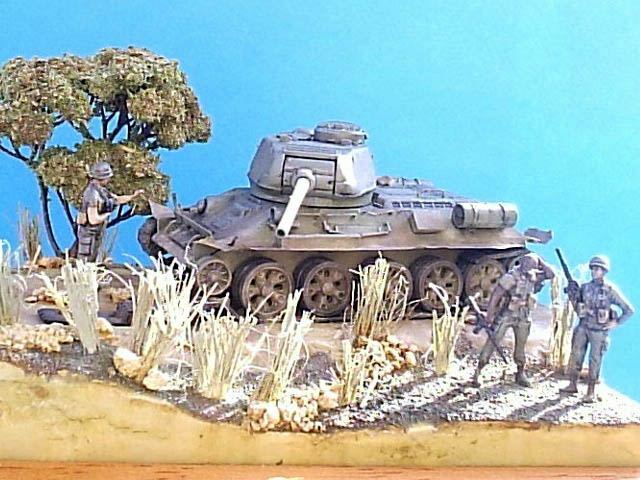 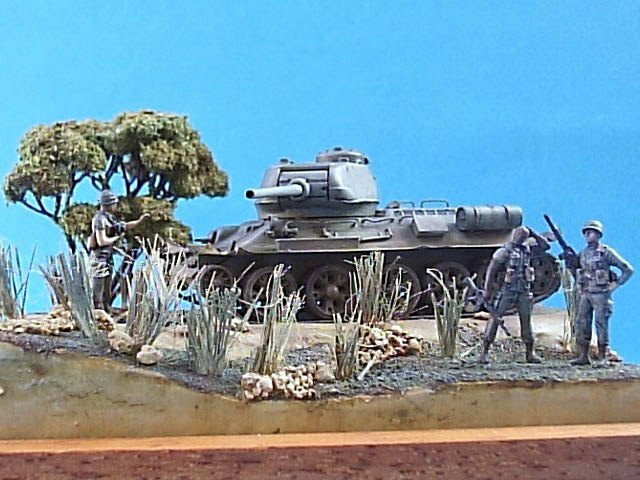 The model is built form the box except new fenders made of sheet to be damaged and the wheels from PST T-55. 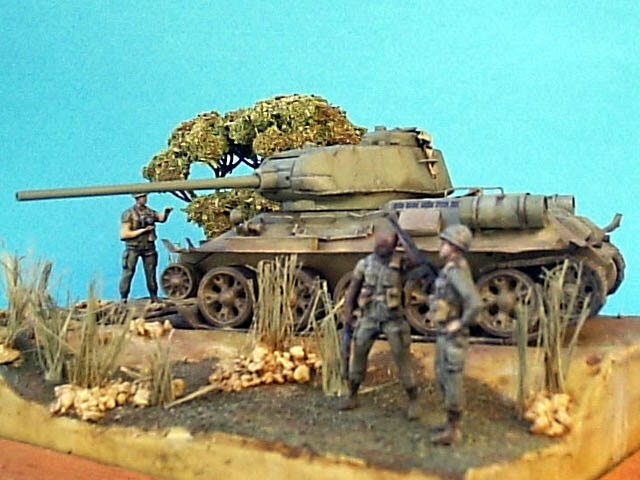 It's painted with Revell paints and oil colors and pigments used for finish and weathering. 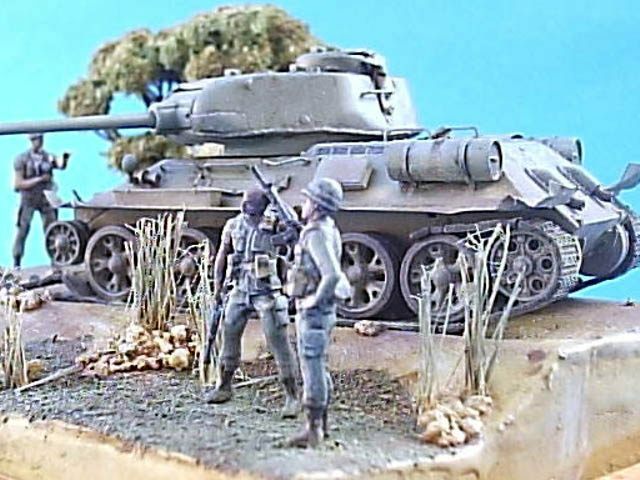 The figure are converted from Preiser modern US Infantry set.